Howdy! My May Ipsy glam bag came right on time yesterday and I'm super stoked to show you guys what I got! This month I was too eager to wait until the mail came, and I peeked online to see what I got. If you don't know what Ipsy is, it is a beauty subscription service where you pay a monthly fee of $10 a month (with tax, so around $16-17) and you receive 5-6 sample size, deluxe size, and sometimes full sized beauty products ! Each bag is suppose to be catered to you, based on the questions you answer in the beauty quiz. That's basically all there is to it. 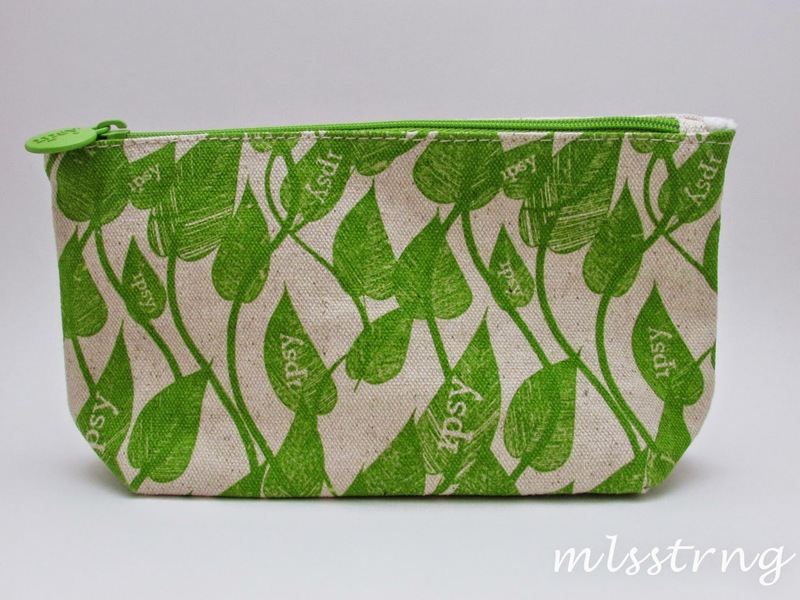 If you love trying new products, this bag is definitely for you. Most bags are worth way more than the value you pay too! It bothers me that some people are super picky about the products, I mean you're getting a lot out of this monthly subscription, and I'm pretty sure its nearly impossible for everyone to get exactly what they wanted in each bag. Anyways, lets begin! I am in love with this month's bag! I love the vibrant greens and pinks. This months theme was based on Spring and "fresh" items. To be honest, the bag was my favourite part of the May Ipsy bag haha. I just love how it looks. The material of the bag is like a burlap/canvas material, and I love how it reminds me of cleanliness and being eco friendly. I definitely will be using this. Now I am not a big fan of hair products. I know, I know, as a beauty blogger and the like, I should love all parts of beauty, including hair care, but nope, I know nothing about hair, nor do I care to take care of my hair hahaha. I am terrible at styling my hair, I get too lazy to go to the salon to touch up my roots (if you ever saw me in person you would see how bad it was), and I've probably kept the same colour and style for over 3 years now. I'm very plain Jane when it comes to hair. Enough blabbing though! When I saw this in my bag I thought "aw man, another hair product I won't use", but seeing it as a hair mask I was thoroughly intrigued. The only hair mask that I've used in my life was from the brand Schwarzkopf which is a salon brand, and I got it in Vietnam, and I loved it. I'm pretty excited to use this though considering it repairs and strengthens damaged hair, because my hair is pretty damaged from having it dyed for over 10 years now. 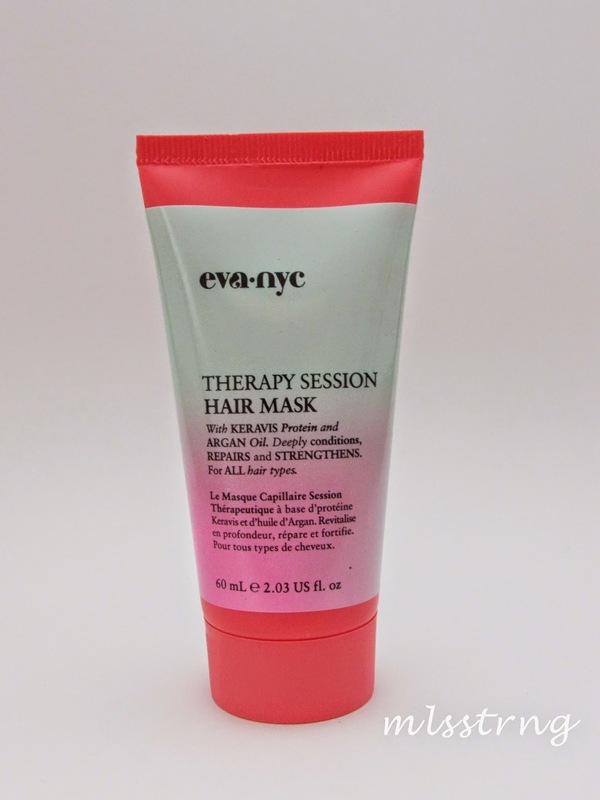 EVA NYC Therapy Session Hair Mask, 16.9 fl. oz. This secondary link is if you're interested in purchasing in bigger volume for a better price! Checking out the website you can purchase this at, the price for a full sized bottle is $18 so I just divided the amount in this big one by this small one to get the price. 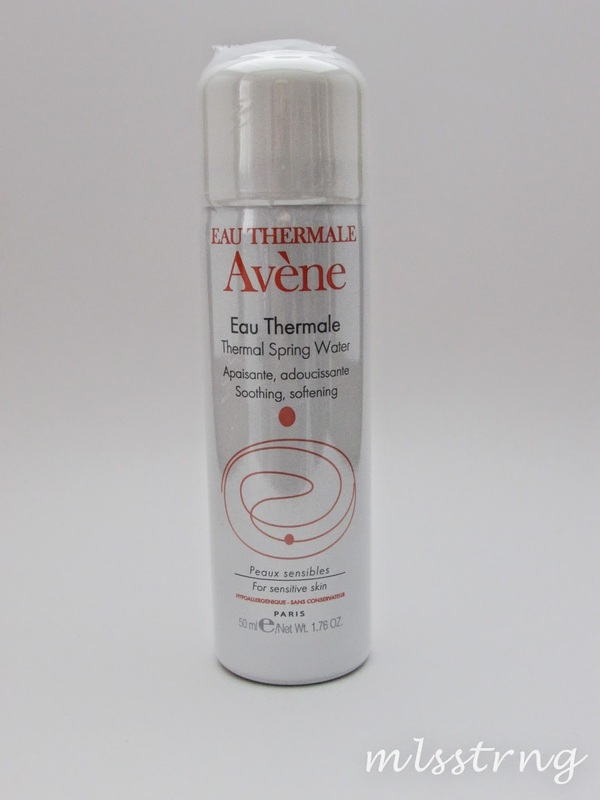 I've never heard of thermal spring water, nor do I know what it does, but according to the website it says that the spring water itself is packaged in a sterile compartment on the actual site of the spring (cool right??). It is used to soothe inflammation, redness, itching, sensitive skin and also softens, protects and purifies your skin. Sounds pretty awesome in my opinion. I do have a lot of redness and my skin is rather sensitive to many new products I try, so this is worth a shot! I mean, the best thing about these beauty subscriptions is to try new products right? Yeah you read that right, a 0.5 oz tube of sunscreen for $12.50?! 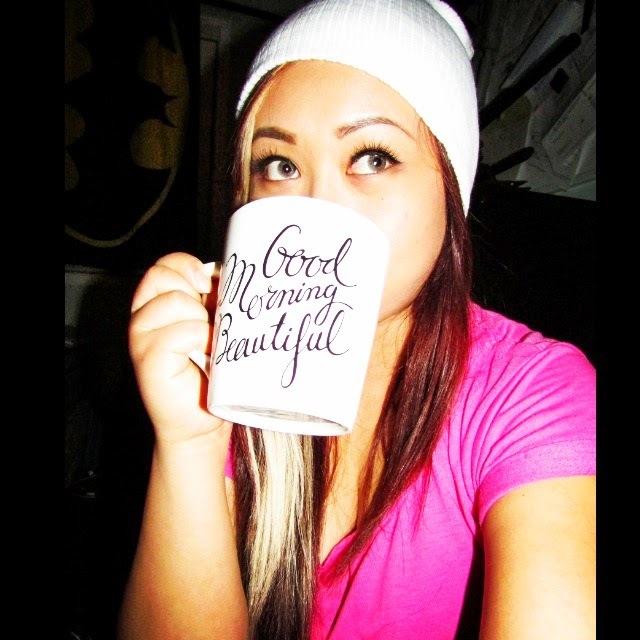 Well then again its all natural AND anti-aging. I don't use anti-aging products just yet since I feel I'm fairly young still, but I guess I have high hopes of this product regardless! 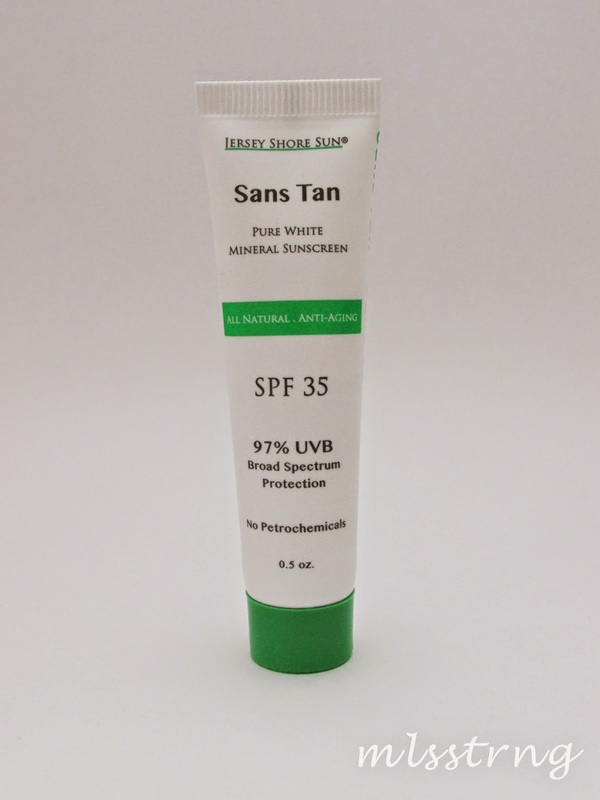 Can't go wrong with sunscreen for the beautiful weather ahead of us! I love getting perfume samples in my subscription boxes/bags. 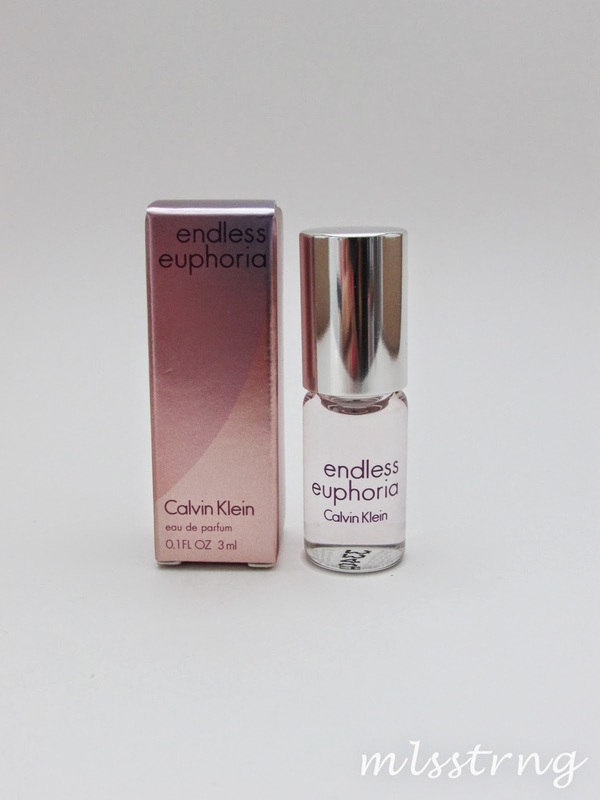 I've never tried the original Euphoria by Calvin Klein so I don't know how to compare the two. Apparently this is the "daytime" version of the original Euphoria. 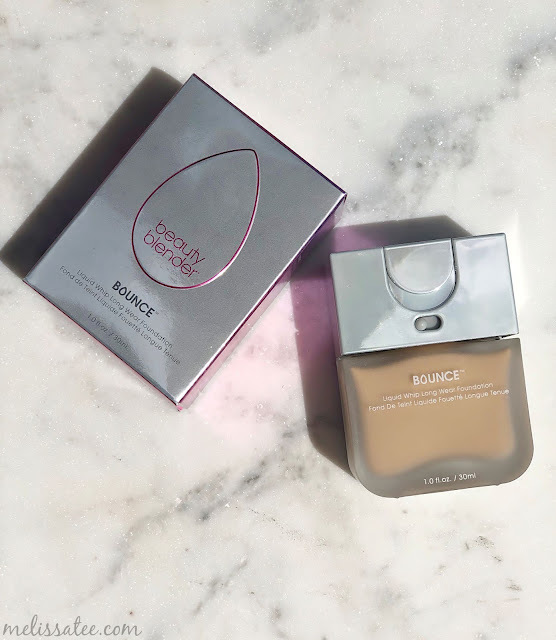 This has notes of cherry blossom, mandarin, violet and bamboo (sounds interesting), and I would definitely agree that it is a morning scent. In my opinion is smells fresh, uplifting and feminine. This will go great in my purse for on the go. This eyeshadow duo is actually made exclusively to Ipsy subscribers so that's always exciting! 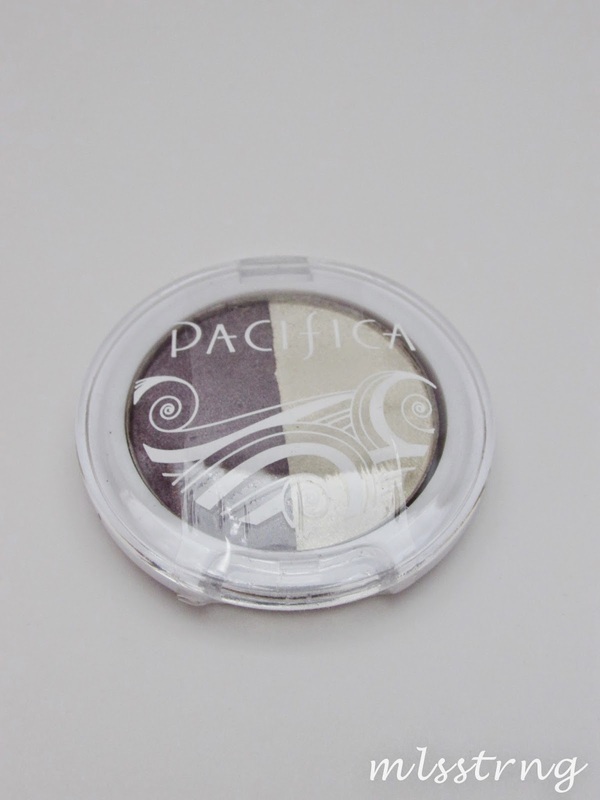 The colours in this duo are from two different Pacifica palettes: the Charmed Shadow Palette ($17) and the Mystical Supernatural Palette ($14). The purple shade which is called "Moonbeam" is a pearlescent pale purple colour, and the white one called "Unicorn" is a shimmery white shade, which could work great on the inner corner of your eyes. The colours itself are super pretty, but the colour payoff is not too good. I swatched it on my hand and they are not pigmented at all. Oh well, I'm sure with a heavy hand the colour gets picked up better. Despite the mediocre eyeshadow, this bag was awesome this month. Surprisingly most Ipsy products work super well for me, this is the first time I got a disappointing product. I've tried the Pacifica body butter and their perfume, and they work great. Either I got a bad eyeshadow or their eyeshadows themselves aren't pigmented at all. Oh well, this bag was definitely worth it though. Are you subscribed with Ipsy? What did you get in your bag? Comment below to let me know! 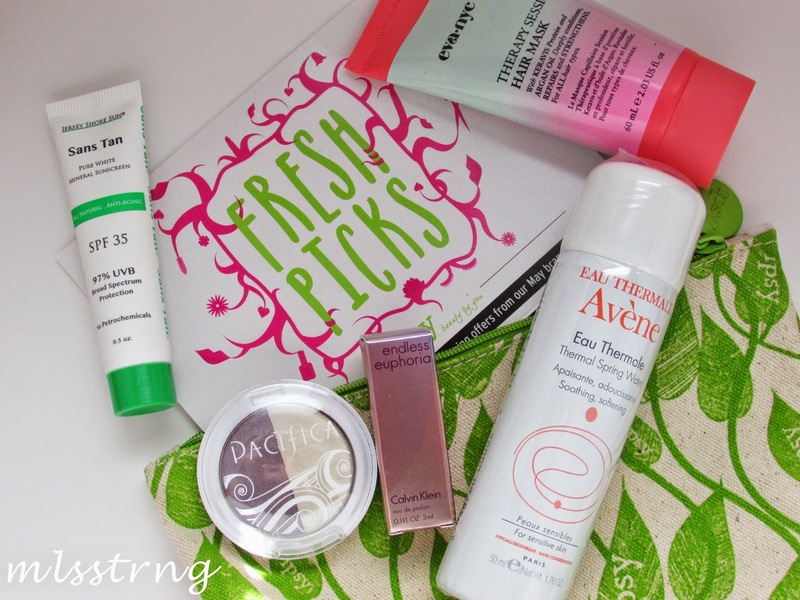 If you want to see what I got in my April 2014 Ipsy bag, just click here. I love that bag! It's ADORABLE! My favorite part of Ipsy was always the bag you got. Haha.